This is the second volume in Leonaur's collected tales about the mild mannered investigator from the Department of Public ProsecutionsMr J G Reeder. Edgar Wallace created several characters about whom he wrote a series of stories, but few have captured the public imagination more than Mr. Reeder himself. 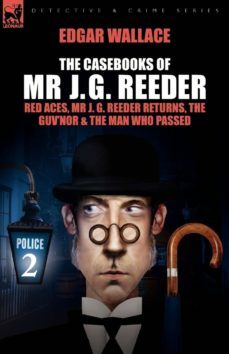 This book contains another substantial helping from Mr Reeder's casebooks including Red Aces, Mr J. G. Reeder Returns, The Guvnor & The Man Who Passed. All the Reeder stories are gathered together in two matching Leonaur volumesavailable in softcover or hardcover with dust jacketmaking them a delight for both new enthusiasts and collectors alike.